Background and Mission: The ALD Academy was established in 2017 with a goal to engage and educate students and professionals in the principles, applications and future advancements of atomic layer deposition and related atomic-scale processes. The Academy is non-profit, established by its founders, Prof. Erwin Kessels from Eindhoven University of Technology, and Prof. Gregory Parsons from North Carolina State University solely for the purpose of promoting understanding of atomic-scale materials and materials processing through personal interactions. Academy Offerings: The ALD Academy is active world-wide, providing education and engagement services at workshops, conferences, educational institutions and industry facilities. Our current offerings include one-day short-courses with lectures, interactive discussions and course lecture notes for all participants. Courses are available for academics and industry, as well as for groups with diverse background and experience. 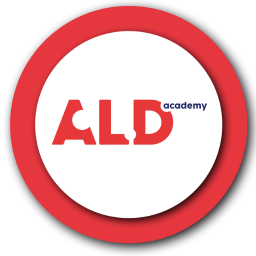 Course Presentation and Compensation: The lectures and course materials are provided by ALD Academy. Presentations are delivered by the founders and by expert guest educators. Copies of course notes are available to participants, but due to copyright, they are provided only in hard-copy form. The Academy provides services pro-bono, requesting only support for travel and local accommodation for the presenting educators. If funds are available, the Academy accepts donations at various levels to promote and expand its activity. Course Host and Management: Each course is managed by a host who requests the course and secures the course location, facilities, advertisement, registration, printing of course notes, and other local arrangements. The course can be delivered as part of a conference or workshop, or managed as an individual event. It can be open to the public or closed to internal participants, as desired by the host. Request for Courses: A prospective host can request ALD Academy services by sending email to info@ALDAcademy.com, and/or by submitting the response form provided below.